Core Competencies - AMG Engineering & Machining, Inc.
AMG Engineering & Machining, Incorporated, is a AS9100D, IATF 16949, and ISO9001:2015 certified machining and manufacturing operation. Our focus comprises medium diameter (.050″ to 28″ turned and 2″ to 40″) milled parts with lengths up to 70″. 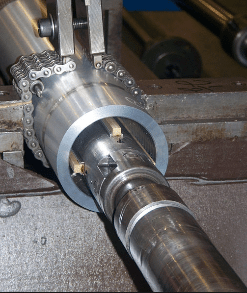 Our effectiveness at machining diverse materials such as aluminum, cast iron, stainless steel, alloys steels, nickel super alloys (Inconel), and titanium, is driven by an experienced team and an extensive array of late-model, top of the line CNC machine tools. 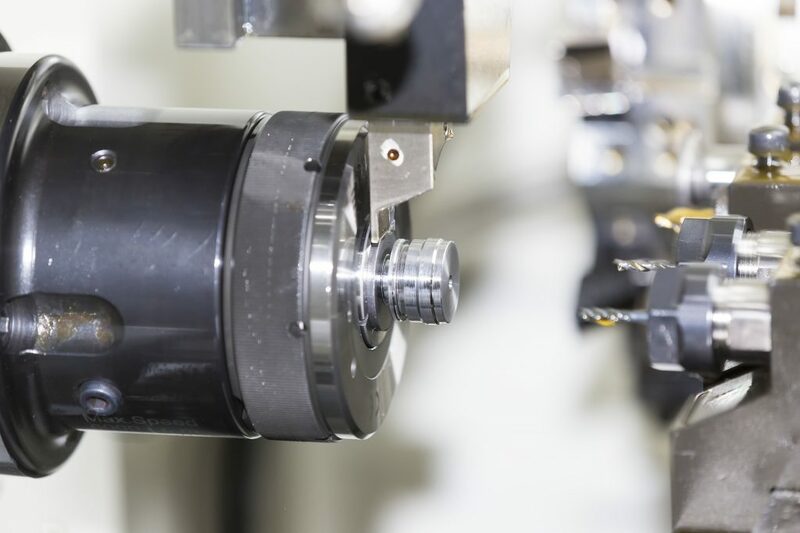 Our equipment delivers high throughput, accuracy, and reliability while simultaneously being manufactured and serviced by the world leader in CNC machine tools. Our late model CNC machine tools, paired with comprehensive and localized service, allows AMG to run continuously with confidence. Additionally, we annually invest in the latest technology while rolling out innovative methods which facilitate superior performance at competitive prices. Machining and experience with a diverse range of materials including aluminum, red metals, cast iron, alloy steel, carbon steel, stainless steel, Inconel, titanium, and Waspaloy is what allows AMG to Build Towards the Future. 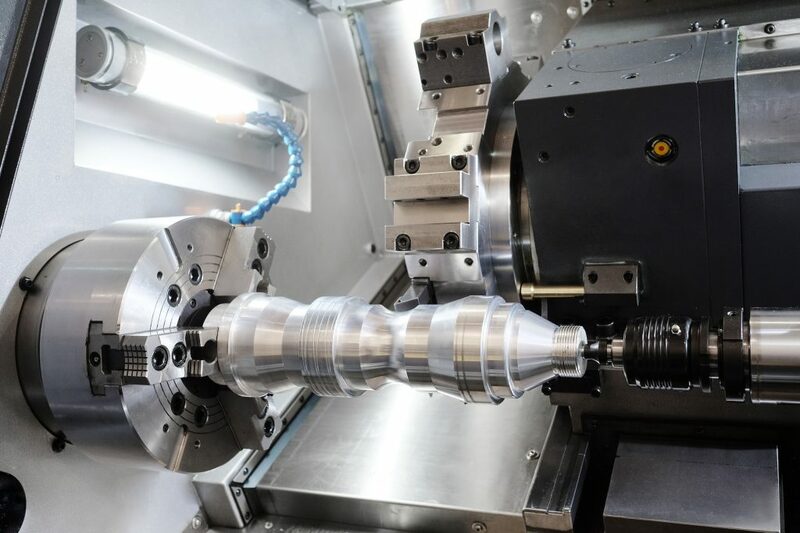 Fielding an extensive lineup of state-of-the-art CNC machining equipment, AMG Engineering is leading the way in small to medium diameter turning operations for a variety of industries. We’re capable of turning diameters as small as .050″ and as large as 28″, accommodating part lengths up to 58″. Our equipment is primarily manufactured by industry leaders and includes 2-axis and 4-axis horizontal CNC lathes. AMG machining centers provide highly precise horizontal and vertical operations for milling and drilling. For threading operations, we will meet virtually any customer specified tolerance requirements. AMG Engineering provides turnkey service managing the entire project from quoting to final product delivery. Our lot size range spans the machining of prototypes to the production of quantities in the hundreds of thousands. As a womb to tomb supplier, AMG provides product from inception to retirement alleviating one less worry for our customers. As AMG is also registered with the FDA to provide contract machining for medical applications, we are qualified to support organizations with special and disciplined quality and production systems to ensure best practices and world class quality. Striving to achieve complete customer satisfaction in every aspect of business to build solid long term relationships is always the goal of our team. AMG Engineering’s customers are supported by highly precise CNC milling services using the latest technology available. 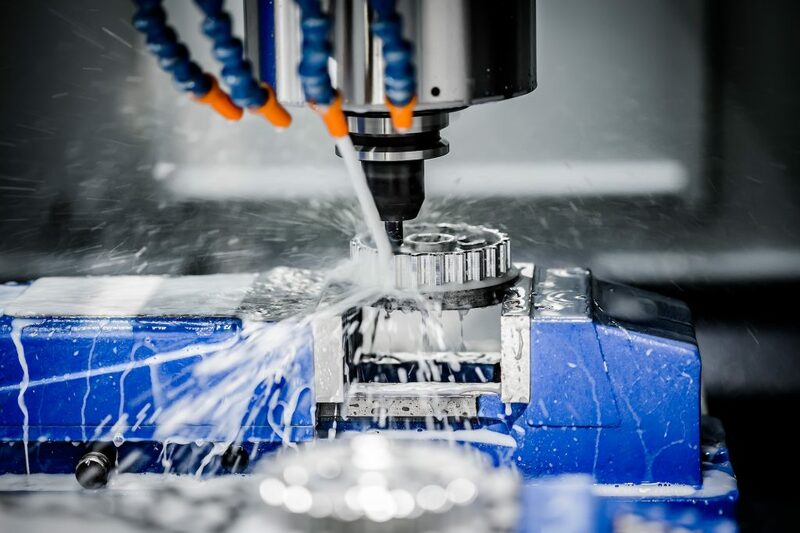 We perform milling, drilling, boring, contouring, counter-boring, countersinking, and most other features generally associated with CNC milling. Our state of the art horizontal machining centers features a 39.37″ x 35.43″ x 39.37″ build envelope and quick loading and unloading of parts using two 24.8″ x 24.8″ pallets. To ensure maximum productivity, the machinery is equipped with auto gauging, tool breakage detection, high pressure coolant, and tool management software. 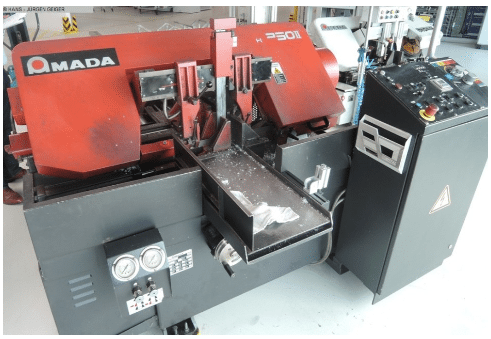 The vertical machining centers utilize rotary tables with spindle speeds up to 8,000 rpm; these units can accommodate parts up with a build envelope of 40″ x 18.1″ x 17.7″. Featuring a next generation computer controlled system, all machining centers are operated in a cell to maximize productivity. We offer a wide range of in-house fixturing to accommodate an array of parts which are supported by quick-change pallet systems that provide accurate and repeatable setups. 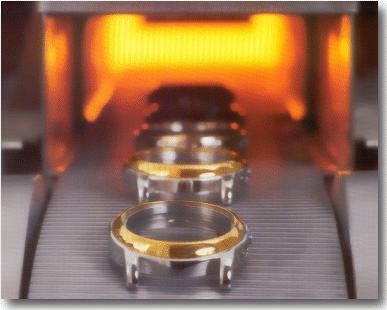 AMG’s state-of-the-art machining centers, aided by our experienced staff, can achieve tolerances as tight as +.001″. All parts are subject to a rigorous inspection procedure including the implementation of a highly accurate probe measurement system. AMG is capable of performing specialty, both low and high volume, production runs for parts weighing up to 1,000 lbs. AMG’s turnkey operation provides customers with the assurance projects will be completed as specified and always on time. Since its inception nearly thirty years ago, AMG has built an excellent reputation of performance centered around integrity and reliability. Vertical turning lathes, or VTL’s, are commonly used for machining large diameter parts not suited for holding in chucks or collets. AMG Engineering’s turning department includes CNC VTL turning capabilities for these types of applications. We can turn up to sixty-two (62) inches in diameter with highly skilled machinists capable of meeting customer requirements. Redundancy of machinery is present within the company. These redundant and over-lapping capabilities are safeguards, insuring quality products and on time delivery. Our carefully vetted and approved, highly-reliable outsource partners meet the standards of ISO, AS, and TS certifications and are also NADCAP approved. This process is used by AMG to improve the geometry of a part; by readjusting the alignment of features such as holes or bores, we are able to produce finer surface finishes. In the honing process, a small, bonded, abrasive stone or super-abrasive stick is rotated over the surface of a part in a controlled path. 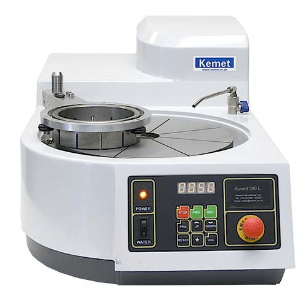 The honing stones are built with an abrasive grain held together by adhesive. Honing is a high-precision process used by AMG to improve certain form characteristics such as cylindricity, surface finish, or sphericity. AMG operates two automatic band saws (12″ & 14″) that are in a cell for maximum productivity. Representing the start of the production cycle for many of the parts produced at our plant, the saws have preset feed rates, part feeding capability, and part clamping features which allow them to operate independently. Being skilled in cutting various metals ensures that proper selection of tooth geometries, tooth pitches, feed rates, and blade speeds maximize the accuracy and efficiency of this process. AMG utilizes this machining process to achieve super-flat surfaces and incredibly tight tolerances on parts that require accuracy at the microscopic level. The lapping process involves passing a part between one or two large flat-lap plates, or platens in a carrier fluid, that contains an abrasive. This machining process is more gentle than both superfinishing and honing and removes much less of the surface material. With lapping, AMG has the ability to produce a super-flat, polished surface. Lapping is generally used to achieve surface flatness or surface roughness. Ultrasonic cleaning is the norm at AMG Engineering & Machining, Inc. This exclusive cleaning method utilizes high frequency sound waves to generate cavitation in the liquid. 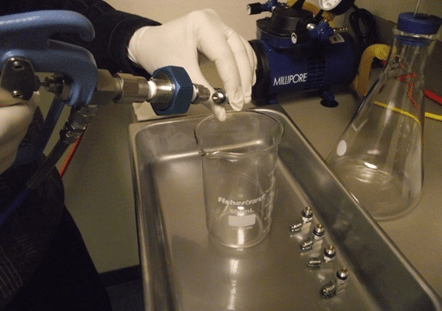 The resulting energetic bubble action penetrates blind holes, cracks, and recesses to thoroughly remove all traces of contamination adhering or embedded on the solid surface. Contaminants can include dust, dirt, oil, pigments, grease, polishing compounds, flux agents, soot, and more. 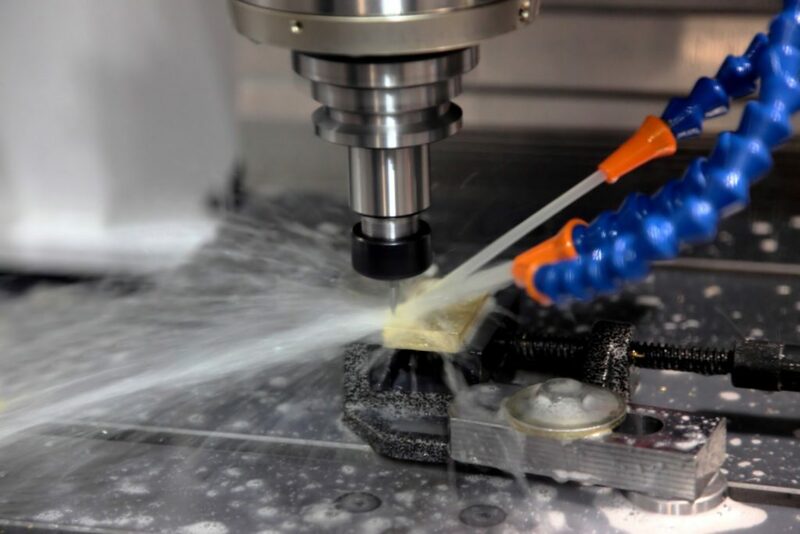 By providing this step, AMG ensures that machined parts are thoroughly cleaned and preserved prior to customer shipments or inventory packaging. In today’s high precision manufacturing environments, the supply of ultra-clean components is often paramount to performance and reliability of finished goods. Transportation and medical device sectors have been at the forefront in assessing the critical levels, sizes, and compositions of part surface contaminants, manufacturing residues, and packaging and handling artifacts. In particular, assembly of automotive and aircraft powertrain systems can, at times, involve hundreds of different individual components that may be directly in a fluid or forced air path for which downstream contamination can be detrimental to long term systems health and performance. 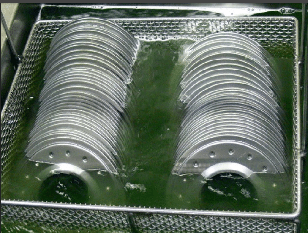 Automotive and Aircraft OEM’s (Original Equipment Manufacturers), continue to develop component cleanliness standards based on industry standard techniques and technologies that put the onus on the supplier to meet or exceed critical surface cleanliness requirements. AMG’s technical team is fully capable of meeting our customers’ cleanliness requirements. This process is utilized by AMG to join metal components using a dissimilar lower filler metal; it allows engineers to connect simple or complex designs of one or multi-joint assemblies. Additionally, furnace brazing is cost effective and an easily reproducible metal joining method. Furnace brazing offers the flexibility to join a wide range of metal and is utilized for aerospace, automotive, medical, and a host of other industrial applications. Thread locking is a process of applying special compounds to a substrate such as bolts or nuts. When the compound is engaged, it creates a wedge providing excellent resistance against vibration and loosening. These compounds are applied and activated during the assembly process and cure forming a polymer that both locks and seals. First, become proficient at building single components. 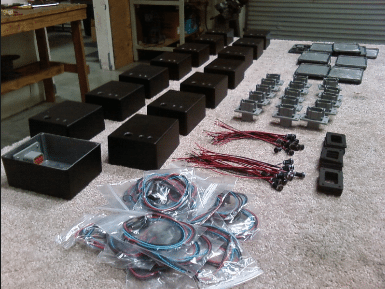 Next, begin building simple sub-assemblies and then more complex ones. Collaborating with customers to design and manufacture proprietary or custom flow control devices for specific applications is a procedure AMG is quite familiar in providing. Lead by an experienced engineering team, we offer an efficient and reliable engineering and manufacturing system. Our innovative and technically driven process is designed to yield product reliability, on time delivery, and competitive prices, while achieving total customer satisfaction. AMG’s entire product line of flow control devices is manufactured and tested in our facility. These devices can be found in fuel, hydraulic, and HVAC systems of the top names in leading industries. 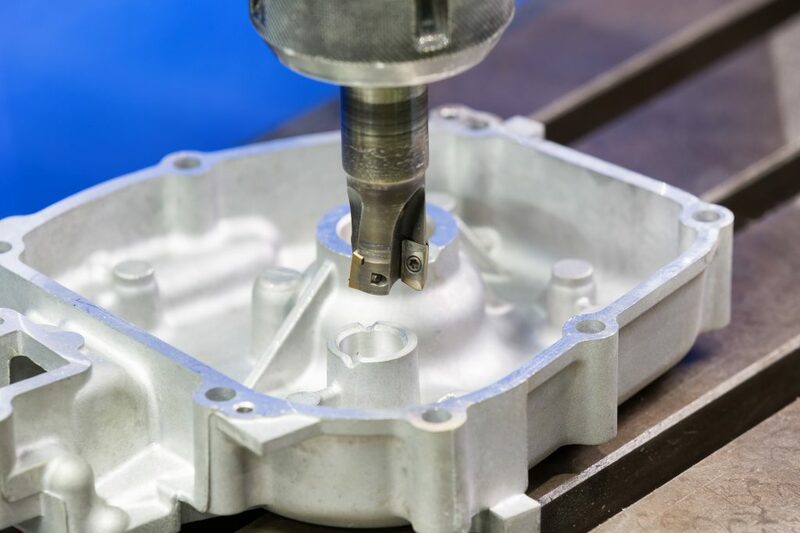 Reverse engineering, prototyping, and testing for customers requesting this service is available at AMG Engineering & Machining, Inc. We are a low to medium volume, womb to tomb supplier.